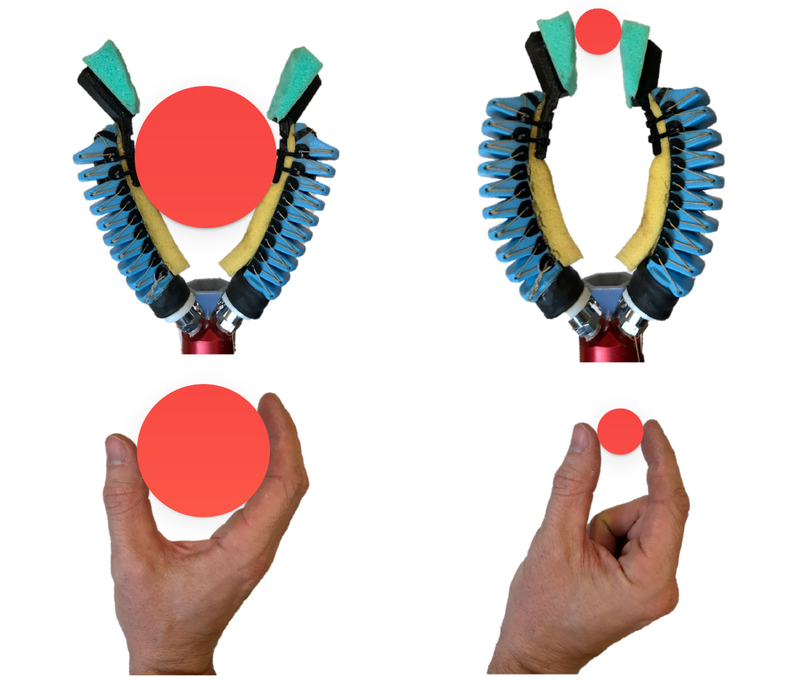 A modified version of the gripper with only two fingers can perform both a “power grasp” for holding large objects and a “pinch grasp” for holding small objects, much like a human hand. 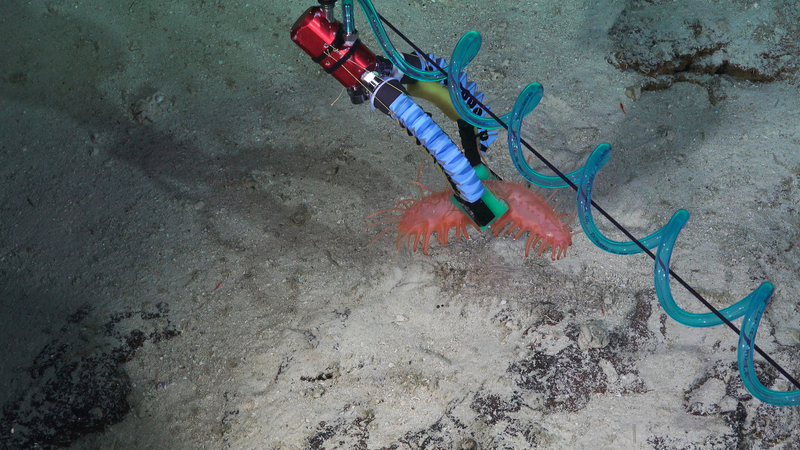 A three-finger soft manipulator grasping a sea anemone attached to a rock on a hard substrate. 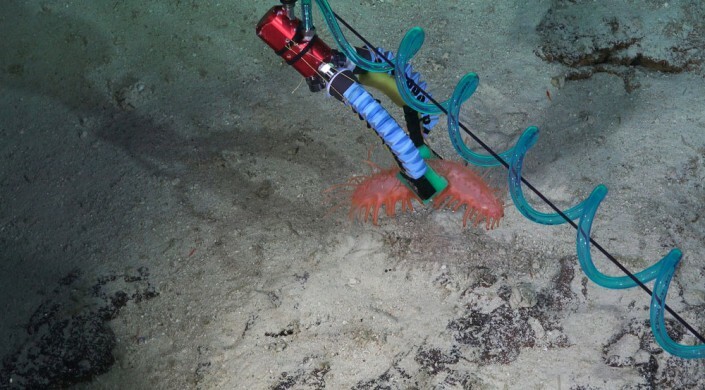 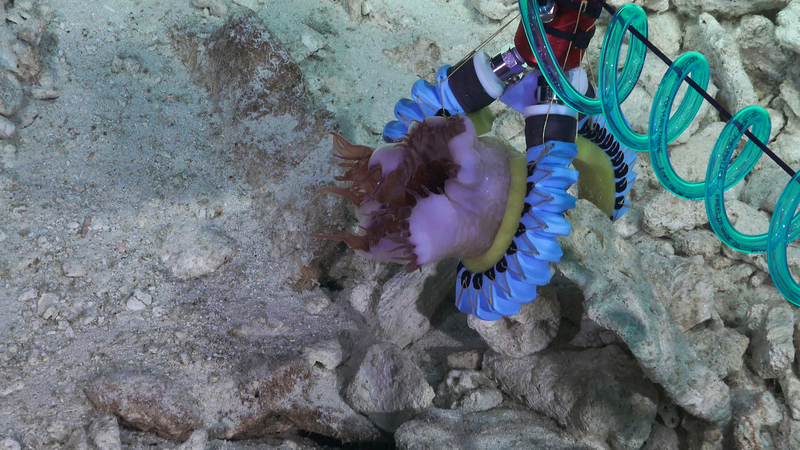 Researchers converted their three-finger soft manipulator to a two-finger version, seen here performing a pinch grasp on an extremely delicate sea cucumber. 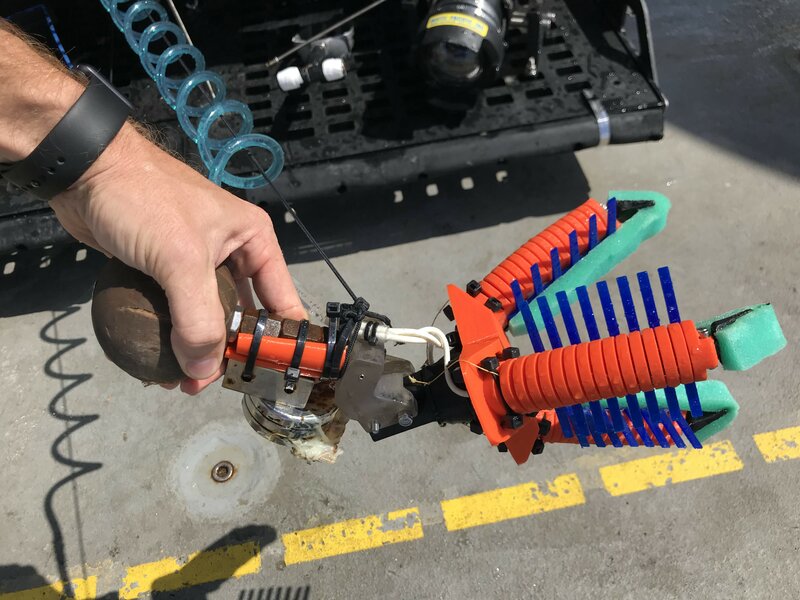 This fully 3D-printed version of the grippers includes “fingernails” on the ends of the fingers to help pick up organisms that are sitting on hard surfaces, as well as mesh extensions between the fingers to keep samples secure.